At the turn of the 20th century, many Danes, Swedes, and Norwegians immigrated to America’s Midwest, founding Scandinavian Lutheran churches in their communities. 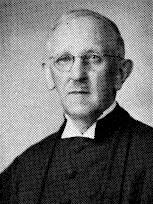 J.C. Aaberg emigrated from Denmark in 1901 to attend a seminary in Minneapolis along with his brother. After his ordination in the Danish Evangelical Lutheran Church, he spent decades serving Danish-Americans in Minnesota. Hymns and Hymnwriters of Denmark contains translations of over eighty Danish hymns into English. Additionally, Aaberg includes short histories of Denmark’s greatest hymn writers such as Thomas Kingo, N.F.S. Grundvig, and H.A. Brorson.